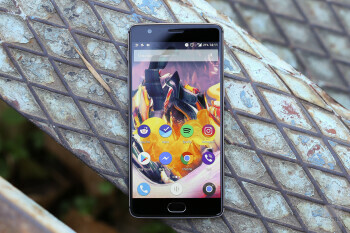 The OnePlus 3T comes just five months after the launch of the OnePlus 3. Why so soon? Simple: OnePlus got the newer and more powerful Snapdragon 821 system chip and heard users' complaints about the not-so-great battery life on the OnePlus 3, and it took the opportunity to improve on these two key aspects of the experience. 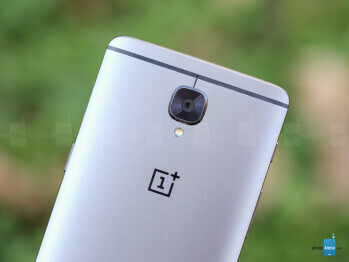 Along with those improvements, it increased the price: the OnePlus 3T 64GB model costs $440, $40 more than the OnePlus 3 with the same amount of storage. There is also a new, 128 gig option for the OnePlus 3T for $480. Yes, this is slightly more expensive than before, but when you compare it to phones with similar hardware and screen size like the Google Pixel XL, the OnePlus 3T is still nearly half their price. Specs, however, don’t tell us much about the actual experience of using the OnePlus 3T: that’s why we’ve been using the _phone_ over the past week to tell you how good of a device it is. Join us below for the full OnePlus 3T review. Same refined, premium design as the OnePlus 3, the pre-applied screen protector is a nice touch. In terms of its physical design, the OnePlus 3T is the exact same _phone_ as the OnePlus 3: same form, same thickness, all to a degree that guarantees that OnePlus 3 cases fit the 3T perfectly. There is one thing changed in the outwards appearance, though, and that is color: the new 3T features a darker, ‘gunmetal’ grey that looks great. 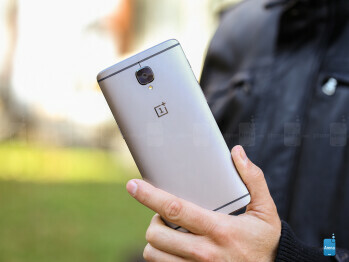 The old light silver shade of the OnePlus 3 is no longer available. 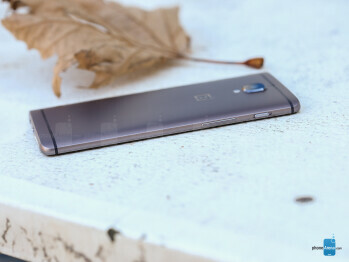 There is also a second, soft gold color option, but that one is only available on the 64GB OnePlus 3T and is in very limited supply. Just like the OnePlus 3, the 3T comes with a pre-applied screen protector right out of the box: and just like before it’s a little too narrow, not covering the full width of the screen, and when you use it you constantly feel its sharp edge interfere with the otherwise smooth glass surface. Yes, this is a minor thing, but you can’t help but notice it. OnePlus is also selling a better, full-width $20 screen protector on its official website, and we recommend considering buying one. Then, there is the mute switch. It’s an extremely convenient little thing that we’ve come to appreciate more and more. We wish more phones had it. Along with the launch of the 3T, the company also brings an optional, separately purchased new case: an ebony wood option that looks great. This brings it to a total of six cases made by OnePlus itself: there’s the signature sandstone one, a bamboo one, a karbon one, as well as a few wooden cases. While they are not meant to protect from heavy drops, they do an excellent job at being light and stylish, as well as protecting from scratches. Great display: you can choose between the default vivid color mode and sRGB mode, which is for those who want accurate colors. 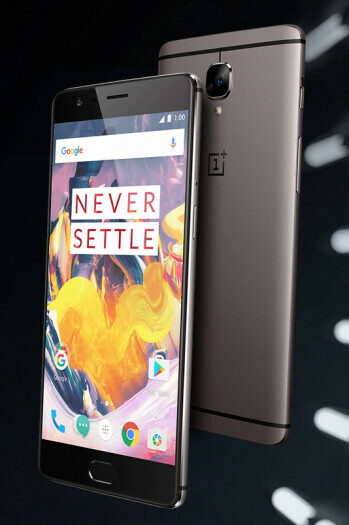 The OnePlus 3T features a 5.5-inch Super AMOLED with a resolution of 1080 x 1920 pixels. And it looks great. Some might be concerned about sharpness: yes, it’s not as sharp as Quad HD screens, but the difference is very hard to notice in real life, and you really have to look at the screen from very up close to notice it’s not as sharp. It’s a non-issue. In terms of colors, the default setting of the screen is for vivid colors that pop right at you, whites are a bit on the blue side, and while technically the colors are not very well calibrated, this is the typical default AMOLED look that many users like. Luckily, it’s not the only option: many users, including photography professionals and others who care for accurate rather than impressive color, would prefer the sRGB color standard. You can switch to it easily: go into Settings > Display > Screen Calibration, and select the sRGB option. 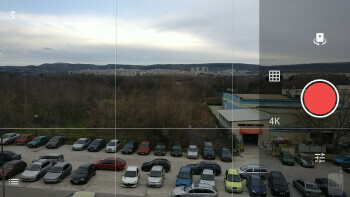 We’ve measured the phone in this mode as well, and it is very well balanced, with very accurate colors. Try both color modes and choose the one you like more, we tend to go for sRGB. We also find the screen is not too reflective and is comfortable and easy to read outdoors. Specs, however, don’t tell us much about the actual experience of using the OnePlus 3T: that’s why we’ve been using the phone over the past week to tell you how good of a device it is. Join us below for the full OnePlus 3T review. In terms of its physical design, the OnePlus 3T is the exact same phone as the OnePlus 3: same form, same thickness, all to a degree that guarantees that OnePlus 3 cases fit the 3T perfectly. The OnePlus 3T launches with Android 6.0 Marshmallow with the company’s clean Oxygen OS skin on top. When will it get the coveted Android 7 Nougat update? OnePlus has already started beta testing it, and the update is expected to arrive by the end of the year. What’s probably more important to most users is the much improved interface on the OnePlus 3T: it has been polished where needed. We made sure to update the 3T and the 3 to the latest software (Oxygen OS 3.5.3 on the 3T and 3.2.7 on the 3), and here is a quick summary of the new features that we appreciate the most in the OnePlus 3T. First, you have the new notification shade that – finally! – features an ‘auto’ brightness button. On the OP3, you needed to go into Settings and then Display to enable or disable automatic brightness – an unnecessary hassle. On the 3T you now have a ‘lock buttons’ option that disables the hardware keys until you re-enable them: great for gaming where an accidental push of the button might take you out of a game in an important moment. The ‘Shelf’, a panel that appears on the left side of your home screen layout, now looks better and is more useful: with a new card-like interface and animations, it steps up the visuals, while new weather information and a neat widget that shows you battery and storage levels also make it more useful than before. Snapdragon 821 is a slight improvement in benchmarks, but in real-life the interface feels noticeably smoother. 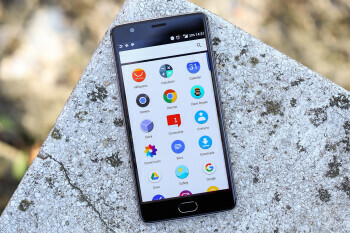 The OnePlus 3T is one of the first phones on the market with the latest Snapdragon 821 system chip, and it’s impressive how quickly OnePlus was able to pull this out: it comes just weeks after Google’s high-ranking Pixel and Pixel XL, and it beats other much pricier phones. For example, the Galaxy S7 Edge and LG V20 both run on the older and less capable Snapdragon 820, yet cost a lot more. In real life, the OnePlus 3T feels subjectively smoother and fast. The OnePlus 3 was already fast, but at times it felt a bit jerky, while the OnePlus 3T feels ]better polished. Of course, you can also see that in benchmarks, the Snapdragon 821 brings a slight improvement: AnTuTu reports a 14% performance increase. If you’re following recent OnePlus discussions, you’ve probably heard about the ‘touch latency’ issue. OnePlus has promised to issue a fix soon and we’ve seen the company previously deliver such updates in a matter of a few weeks, so we’re optimistic. In our experience, this is blown way out of proportion: there is a very slight delay between the moment you touch the phone and the moment it registers the touch, but so much that it is never really a problem. In terms of storage, you now have a 64GB and a 128GB storage option. There is no microSD card slot on the OnePlus 3T, so whatever you get, you cannot change. We think that most people would be perfectly fine with 64 gigs, but if you are a power user who keeps a music collection and a few 4K videos on their phone, you might prefer the 128 gig model. The OnePlus 3T is available in three models: one for the US and North American market, one for Europe and another one for China. The difference between these models is in the 4G LTE bands they support, with each model carrying all the needed bands for proper LTE use in its target market. 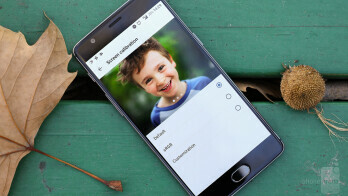 It’s worth separately mentioning that the OnePlus 3T does not support CDMA connectivity, so it will not work on Verizon Wireless and Sprint, since those carriers use the CDMA network for their voice services. However, the phone will work on AT&T and T-Mobile, and supports all needed 4G LTE bands to work well on those carriers. The change in image quality is very minimal, it’s almost the same as the OnePlus 3, which is to say that it is very good. The main camera on the OnePlus 3T is the same as on the OnePlus 3: it’s a 16-megapixel Sony IMX298 sensor with small, 1.1-micron pixels. On top of it is an f/2.0 lens, and the whole unit supports optical image stabilization. The camera starts quickly: you can use the Android-wide double-click the home button shortcut, or you can customize either one of the hardware keys on the phone to start the camera. It is a fast and a convenient way to start shooting photos. 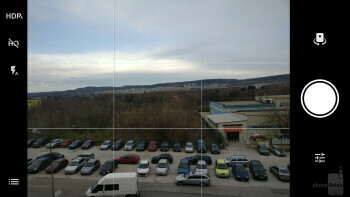 Image quality is very good. The phone is able to get exposure and white balance right most time. Rarely, but it happens, images turn a bit underexposed and white balance could err on the cold side in challenging conditions. There is an auto-HDR option that we recommend keeping on as it kicks in when the conditions are right and brings more vibrancy and dynamics to pictures. 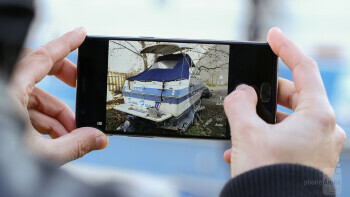 There is support for 4K video on the OnePlus 3T and the quality is good: the improved image stabilization is good, but not on par with the leaders in the form of the iPhone, Google Pixel and a few others. Focus is very quick to switch when needed, but sometimes it hunts around a bit, something that does not happen on the iPhone, for instance. The big change is in the front camera: it’s a 16MP one on the 3T, up from 8-megapixels on the OnePlus. 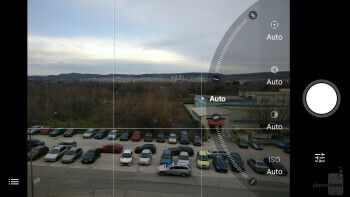 Both are fixed-focus cameras with support for face recognition, but the feature works slightly better on the 3T. The biggest change that we see is that this new front camera blurs much more of the background, which makes it easier to focus on the subject of those pictures. Are pictures sharper, though, with the added megapixels? We actually found that much more often a slight shake in our hand would make selfies blurry on the OnePlus 3T and in the general case the OnePlus 3 actually did a little bit better with sharpness, but there is very little real-world difference. Compared to other phones, the 3T has a very similar front camera to the 3, and it is among the better selfie shooters out there. We have no major issues with call quality on the OnePlus 3T. On our side of the line, voices sound clear and sufficiently loud in the earpiece (though if you are working in an extremely noisy environment, it might be a bit on the quiet side). On the other end of the line, voices also sound crisp and clean, in their natural tonality, so it's easy to recognize them. It's worth noting again that the OnePlus 3T is a dual SIM phone. This is a rarity among higher-end phones: it allows you to insert both your personal and work SIM card (if you have one), and it's a nice convenience. In day-to-day use, we can feel a slight improvement in battery life. The OnePlus 3T features a battery of the same size as the OnePlus 3, but – magically – of bigger capacity. How is this possible? 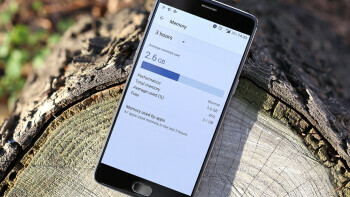 OnePlus did this by using a battery with higher voltage, and the end result is a capacity increase to 3,400mAh on the 3T, up from 3,000mAh on the 3. We ran our custom battery test that measures screen-on time and we found the 3T perform on par with the 3. This is an unexpected result, but it could be partly because of the newer and more powerful processor requiring more power for more intense operations. In order to get full understanding of how the battery performs, though, it’s crucial to actually use the phone and see how it handles itself in real-world use. We average 6 hours and a half of on-screen time in real life, and on average the phone lasted a day and a half between charges. The OnePlus 3, on the other hand, got slightly less than 6 hours on average, so we notice around 10% improvement. Again, your mileage may vary, but for many people this will be a considerable and much appreciated increase. Then, you have Dash charge. 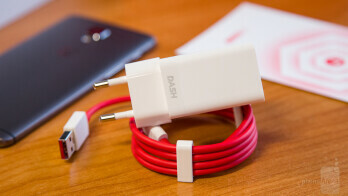 It is a quick charging mechanism that ensures your battery charges faster than most other phones. Going from 0 to 100% takes 1 hour and 25 minutes on the OnePlus 3T, but what's more impressive is that even 15 minutes or half an hour give your battery a very substantial boost. Great! 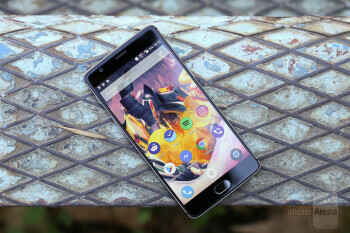 The OnePlus 3T does not change much in the already excellent formula that is the OnePlus 3. It brings a slight improvement in performance, some nice polish to the interface that we appreciate, but best of all, it has a battery that lasts longer. The new color option is also nice. Does that justify a $40 price hike? This is a tough question: objectively not much has changed, but subjectively, the battery boost and smoother interface are important changes that we appreciate having. The OnePlus 3T is not as good of a value as the 3, but it’s still one of the very best value-for-money phones around. And it’s a dual SIM phone, an extra feature that is hard to find in mainstream flagships. 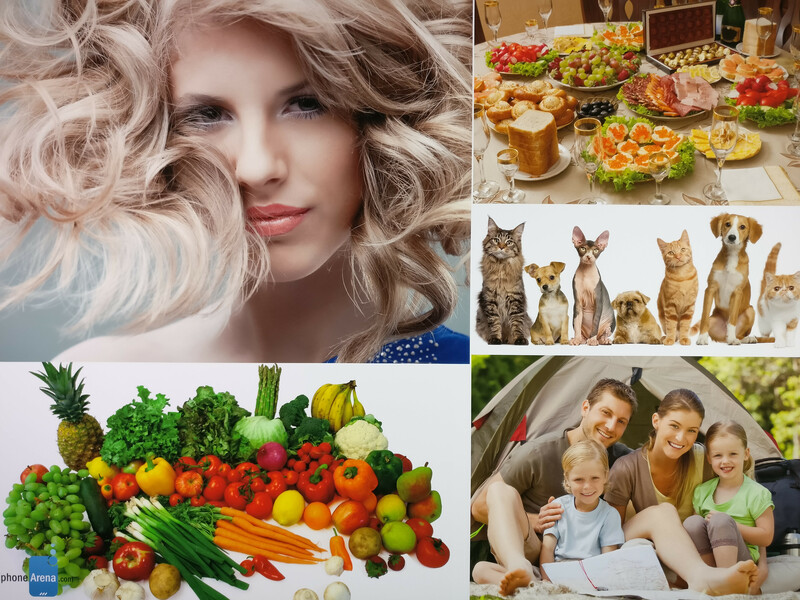 What are your alternatives? For around the same price, you can get the Honor 8, which has an even better battery life, an easier-to-handle 5.2” form factor, but its interface lacks the polish and feels a bit foreign, the phone lacks 4K video, and the 64GB version is slightly more expensive than the 3T. You also have the ZTE Axon 7, which is much easier to buy as it is widely sold at Best Buy and other retailers, but its interface and user experience is not as satisfying as on the OnePlus 3T. Other phones with OnePlus 3T grade of hardware are the flagships: the Google Pixel XL, which costs nearly twice as much. The Pixel XL has a slightly better camera, slightly better battery life, and a slightly smoother-running interface, but budget shoppers might not find this enough of a reason for the price difference. At the end of the day, the OnePlus 3T is great: it’s fast, it’s good all around and it does not make cheap compromises. Now if only OnePlus could make enough of them, so it does not take a few weeks waiting to actually get one.